On of our favorite yearly traditions is to attend the local Medieval Faire in the Spring. We have gone together as a family for the past nine years. Each year we come home from a weekend of fun inspired to create many new projects. One of the first projects I dove into making was a drawstring leather pouch. I dug through my leather stash (and what a large stash it is!) and found several different kinds of leather, only a couple of which will work for a bag in this style. Before the sewing tutorial actually starts I share several different leathers to give an example of how they look and feel so anyone making a bag can find the right kind of leather. Another factor in selecting your material will be size. I made a basic pattern for my bag that measures 8 inches wide and 8 1/4 inches long with the bottom two edges slightly rounded to give the pouch a nice round bottom. Two pieces will need to be cut from that pattern along with two strips of leather 3/8 inch by about 18 inches long. But feel free to make the bag in any shape/size you like. 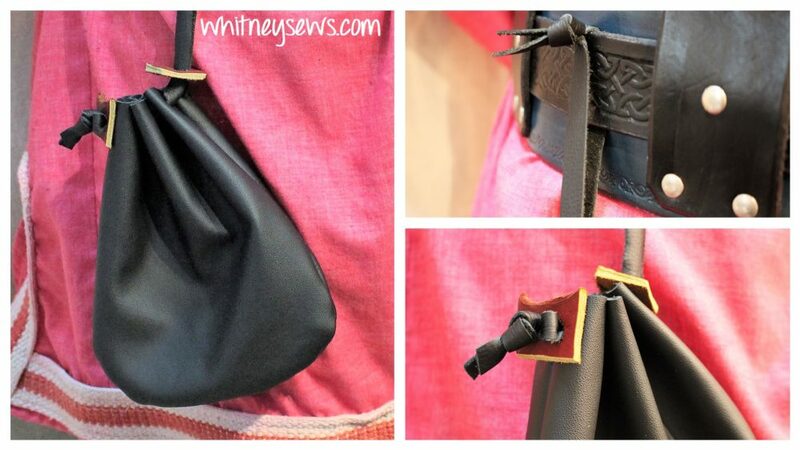 There is only one seam to sew in the entire bag making it a perfect first project for anyone new to sewing leather. Ok, enough chit chat – click HERE to watch the entire tutorial! There you have it! A super simple project with lots of costume (and non costuming) uses. 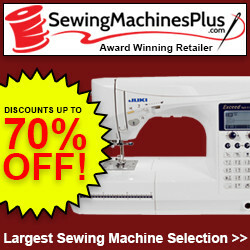 I hope you enjoyed the tutorial and until next time, Happy Sewing! This entry was posted in Blog and tagged drawstring bag, leather pouch, Sewing.